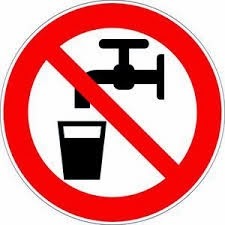 ***Attention Hugo Residents*** Earlier this afternoon Hugo Public Works notified Lincoln County Sheriff's Office that there was evidence of THC in the Town of Hugo's water supply. We are asking everyone on Hugo water to avoid drinking, cooking, and bathing in Hugo Water. At this time, Investigators are assessing the situation with state and federal authorities. Bathroom usage is still safe, but until more information is known to us, out of an abundance of caution, avoid drinking Town of Hugo Water. Fresh water is on the way to the community. The Sheriff will update everyone via Facebook and Twitter when it arrives. https://www.washingtonpost.com/video/national/health-science/marijuana-activists-demonstrate-false-positive-drug-tests/2015/12/29/92fa785e-ae4c-11e5-b281-43c0b56f61fa_video.html I recently saw this about how the police drug test kits are notoriously giving false positives to almost any substrate. Before you go all bomkers.... test some other stuff.